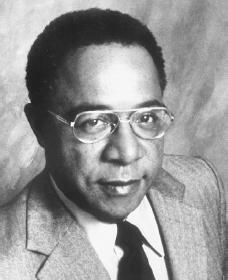 Alex Haley was born in Ithaca, New York, and raised in the small town of Henning, Tennessee. His father managed the family lumber business while his mother was a schoolteacher. Growing up, Haley became interested in his ancestry while listening to colorful stories told by his family. These stories, which traced seven generations, would become the source and inspiration for Haley's later work. eighteen he joined the U.S. Coast Guard and began a twenty-year career in the service. He practiced his writing, at first only to cure boredom on the ship, and soon found himself writing love letters for his shipmates to send home to their wives and girlfriends. He wrote serious pieces as well and submitted them to various magazines. Upon retiring from the Coast Guard, Haley decided to become a full-time writer and journalist. His first book, The Autobiography of Malcolm X (1965), which he cowrote with Malcolm X (1925–1965), was well-received by both critics and the public. The work sold more than five million copies and launched Haley's writing career. Two weeks after the book was completed, Haley began work on his next project, Roots. The tale follows the life of Kunta Kinte, a proud African who was kidnapped from his village in West Africa. After surviving the middle passage (the brutal shipment of Africans to be sold in the Americas), he was made a slave on a plantation in the United States. Haley visited archives, libraries, and research repositories on three continents to make the book as authentic (real) as possible. He even reenacted Kunta's experience during the middle passage by spending a night in the hold of a ship (the storage room below deck) stripped to his underwear. Haley himself described Roots as a "faction," a mixture of fact and fiction. Most critics agreed and evaluated Roots as a blend of history and entertainment. However, some voiced concerns—especially at the time of the television series—that racial tension in America would be aggravated by Roots. Many activists viewed Roots to be an important part of the civil rights movement, where African Americans and other minorities fought for equality. Vernon E. Jordan (1935–), the executive director of the National Urban League, called the television series "the single most spectacular educational experience in race relations in America." Speaking of the appeal of Roots among blacks, Haley added: "The blacks who are buying books are not buying them to go out and fight someone, but because they want to know who they are.… [The] book has touched a strong, subliminal chord." Barely two years after the book was published, Roots had already won 271 awards, and its television adaptation had been nominated for a record-breaking thirty-seven Emmys, the top awards for television programming. Over eight million copies of the book were in print, and the text was translated into twenty-six languages. In addition to fame and fortune, Roots also brought Haley controversy. In 1977 two published authors, Margaret Walker and Harold Courlander, accused Haley of plagiarizing (to steal and use as one's own) their work. Charges brought by Walker were later dropped, but Haley admitted that he unknowingly lifted three paragraphs from Courlander's The African (1968). A settlement was reached whereby Haley paid Courlander $500,000. Regardless of the controversies, the popularity of Roots is very clear. It is still widely read in schools, and many college and university history and literature programs consider it an essential part of their assigned reading. Stardom took its toll on Haley, though. The New Times reported that on a trip to his ancestral village in Africa, Haley complained: "You'll find that people who celebrate you will kill you. They forget you are blood and flesh and bone. I have had days and weeks and months of schedules where everything from my breakfast to my last waking moment was planned for me." Roots was so successful that the American Broadcasting Company (ABC) produced a sequel, Roots: The Next Generations, a $16.6-million production that ran for fourteen hours. The story line of Roots II, as it was called, begins in 1882, twelve years after the end of the Roots I, and it concludes in 1967. In 1985 Haley was working on a novel set in the Appalachian culture that he had researched extensively. The novel was centered around the relationships among a mountain father, son, and grandson. Because this book was not about blacks but primarily about whites, Haley said of the project, "I think one of the most fascinating things you can do after you learn about your own people is to study something about the history and culture of other people." Haley also researched his paternal heritage (his father's ancestry), which became the book Queen. But before he could finish the book, Haley died on February 10, 1992. (David Stevens would complete the work on Queen. ) In 1993 Queen became a three-episode miniseries which aired on the Columbia Broadcasting System (CBS). Accusations surfaced about the historical accuracy of Queen, and critics questioned whether a romance had actually existed between Queen and her slave-owning master. According to Melinda Henneberger in the The New York Times, the tapes left by Haley did not mention a romance between his paternal great-grandparents. Producer Mark Wolper indicated "Haley had become convinced by his later inquiries … that his great-grandparents had actually been in love." Haley also planned to write a book detailing the life of millionaire Madame C. J. Walker (1867–1919) and her daughter A'Lelia. Haley had signed a three-book contract with Ballantine for its new multicultural publishing program, for which his first title was to be a history of his hometown—Henning. Those who knew Haley well say his research on Henning predated the writing of Roots. Haley was buried on the grounds of his Henning homestead. Gonzales, Doreen. Alex Haley: Author of Roots. Hillside, NJ: Enslow, 1994. Shirley, David. Alex Haley. New York: Chelsea House Publishers, 1994. WOULD IT BE OK IF I TOOK A FEW IDEAS FROM ALEX HALEY'S BIOGRAPHY FOR A BOOK REPORT? this is GREAT ! i realy enjoyed reading this article. It makes me want to trace my families history .